Swiss metallers Mind Patrol are joining the ever-growing ranks of those newer bands hell-bent on playing old school metal. And for a debut effort, they have set the bar quite high with this album, a rip-roaring tribute to everything fast, heavy, and violent that could be found in the golden age of metal. The influences here are plenty, but the salient ones aren’t hard to spot. On one hand, the whole album has a strong Metal Church feel, whilst the crunchy guitars showcase influences from bands like Liege Lord and other USPM acts. But on the other hand, there is a good helping of Seasons in the Abyss here as well as a chunk of Peace Sells-era Megadeth. In light of these influences, it would hard to classify this release as purely thrash or purely traditional heavy metal. I’d settle for calling it heavy metal thrown into a blender with equal parts thrash and speed. The vocals are probably what I liked least about the album. And that’s not to say that they’re bad at all, just that they’re not my usual fare when I’m listening to heavy metal. They walk a weird line between harsh and clean, but mostly falling on the side of a guttural scream with just enough pitch that it can be almost recognised as something carrying a melody. They’re certainly executed well enough, and to be fair, I don’t know if cleaner vocals would even work as well with the material. One thing that I do like about them is the classic screamed chorus schtick, which they pull off perfectly. To sum up, there is just no down time on this record. It’s a rifftastic tour de force that stays on all eight cylinders from beginning to end, whilst being engaging and full of variety for the entire duration. Against All Predictions turns out to be quite the appropriate name here as far as I’m concerned. 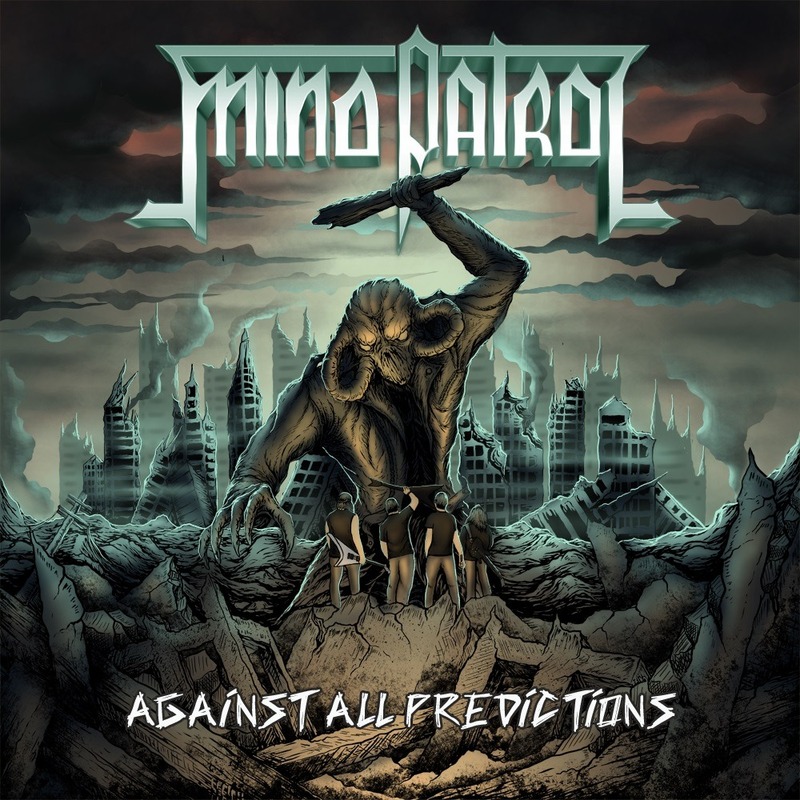 A good chunk of the bands that are trying to do their part to keep metal alive sadly fall short of the mark, but Mind Patrol certainly have not. Fans of any of the seminal thrash metal bands should find this release at least enjoyable, but heavy metal lovers who enjoy their metal way more aggressive than most should not pass this up. This entry was posted in Heavy Metal, Reviews, Thrash Metal and tagged Against All Predictions, Heavy Metal, Lucerne, Megadeth, Metal Church, Mind Patrol, old school metal, Slayer, Speed Metal, switzerland, Thrash Metal.